This page explains the layout of the Project Summary page. When you click through to a Crucible Project from the Projects Tab, the 'Project Summary' screen opens. In the right hand pane, you can see an activity stream relating to this project. 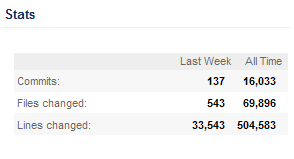 In the left hand pane, you can see various statistics charts relating to the project in context. These appear in a reduced size until you click them, when they will expand to show more information. This contains a short message explaining which Crucible Project and Fisheye repositories are being accessed to show the activity stream on the page. 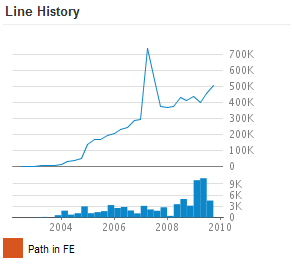 This panel contains a chart showing the lines of code added to the repository, graphed over time. 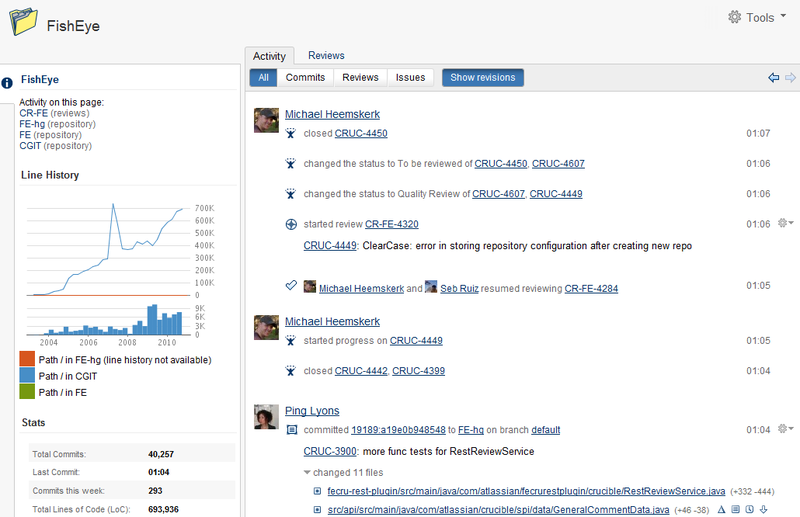 This panel contains a chart showing numerical data for commits, files changed and lines change, graphed over time. This chart shows the amount of commits, shown by week over a one year period. This chart shows the amount of commits, graphed by day over the past week. This chart shows the amount of commits, graphed by hours over the past day. This chart shows the amount of commits (shown as darker colors to indicate more commits) graphed by month, over years that the repository has been running.